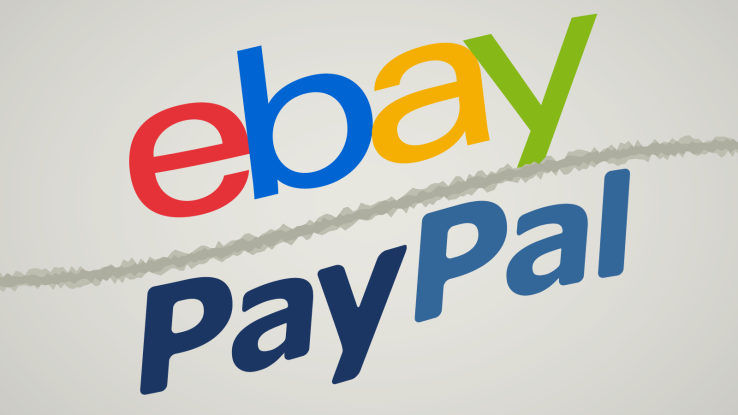 eBay Spins Off PayPal - Joe.My.God. PayPal is an independent company once again. At $46.6 billion, PayPal would have a greater market capitalization than that of eBay, whose value will shrink to around $34 billion, according to data compiled by Bloomberg. PayPal will begin trading on the Nasdaq under the ticker “PYPL,” returning to its roots under the same ticker it had before it was acquired by eBay in 2002. It’s a sure sign that investors are seeing growth potential in PayPal, a company that boasted 169 million users and processed $1.1 billion in payments in the second quarter, with transaction volume up 27% over the prior year, the company said recently. The increasing shift for shoppers toward payment channels such as mobile devices, as detailed in a PWC retail report, creates a prime environment for PayPal to thrive in. PayPal launched in 1998 as Confinity and helped make homocon Peter Thiel a billionaire.